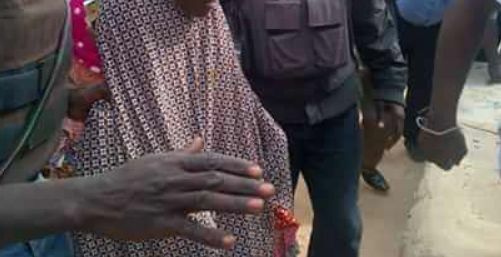 The Nigeria police, Katsina command, have arraigned a 21-year-old woman, Samsiya Hayatu, over the death of her stepson, Ahmed, who suffered 3rd-degree burns, after being scalded by hot water. The two-year-old Ahmed lived with his father, Hayatu, and the stepmother at Yandaki town in Kaita area of Katsina State before the incident. Northern City News had reported the death of the toddler last month. Competent police sources revealed that Samsiya was picked up and subsequently arraigned for culpable homicide before a Katsina State Senior Magistrates’ Court on Friday. The state Police Command spokesman, DSP Gambo Isah, confirmed the development to journalists. Findings at the magistrates’ court confirmed that Samsiya was arraigned before a senior magistrate, Falile Dikko, but her plea was not taken as she was suspected to be mentally unstable. According to sources at the court, the magistrate directed the police to first ascertain the true state of Samsiya’s mental health before arraigning her. One of the sources, who pleaded anonymity, said, “Samsiya displayed signs of mental illness when she was arraigned before the senior magistrate."